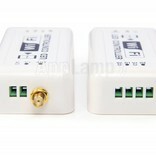 This LED Magical Wi-Fi controller has a built-in Wi-Fi module So there is no need for a seperate WiFi bridge. 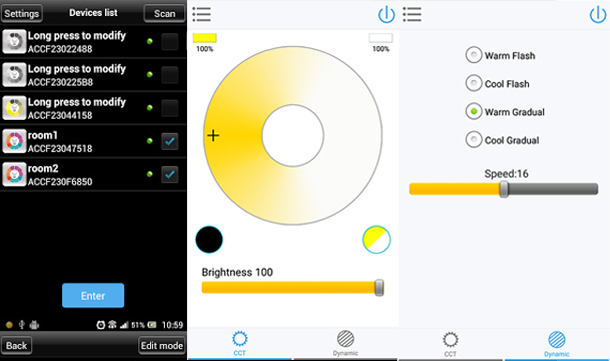 Just connect a power supply and a Dual White LED ribbon to controll wireless through your smartphone or tablet with the free app. 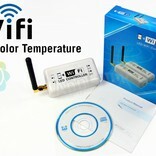 Comprehencive Wi-Fi CCT controller. This LED Magical Wi-Fi controller has a built-in Wi-Fi module So there is no need for a seperate WiFi bridge. Just connect a power supply and a Dual White LED ribbon to controll wireless through your smartphone or tablet with the free app. A Dual White LED strip is equipped with two different white colour LEDs, a cool-white and a warm-white ones. This CCT controller adjusts the intensitie of the cool-white and warm-white LEDs on a smart way, with as result a dimmable light with an adjustable colour temperature. Instead of Dual White LED ribbons, you can also connect two LED ribbons in different colours and create your own original lightmix. 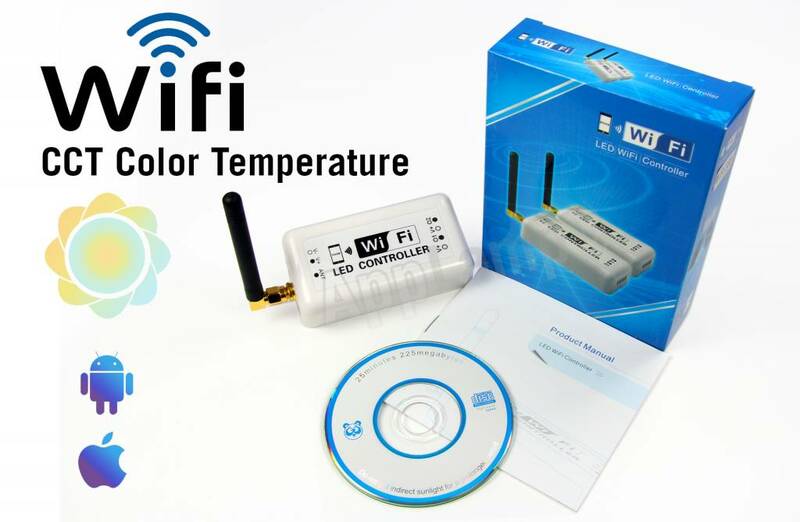 The CCT colourtemperature Wi-Fi LED controller is easy to install and readely integrated in your home network. 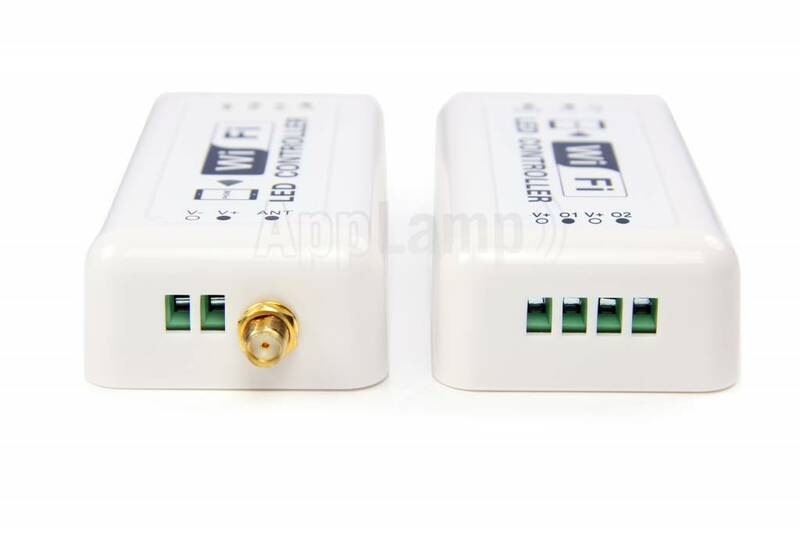 Several LED ZJ-WIFI-320 controllers can be used side by side or in groups and being controlled by the same app, ON/OFF smartphone homescreen widget. - Compatible with all our power supplies and Dual White LED ribbons. - Free APP download, link on the pakkeging.